The Colleges constantly seek partnerships and means of co-operation with public and private sector institutions within the kingdom and around the world in various fields of academia, research, and knowledge which contribute to elevating those fields and to the spread of knowledge as well as having a positive impact on the academic process. The partnership with the council works towards joint planing for the future of engineering education in the Kingdom and identifying the competencies required by the labor market and supporting the professional accreditation program for engineers. The Colleges becomes a member in professional boards and professional accreditation committees for engineers at the SCE and SEC becomes a member in the Colleges’ advisory board. The partnership includes training and qualification of Colleges’ students wishing to enter the Fundamentals of Engineering exam (FE) and field visits to projects under implementation. The partnership also offers SCE member a discount on tuition fees of programs offered by the Colleges. The Colleges offer academic, research, and training council related to the development of procedures and methods to the Center. The Colleges also organises and executes training programs, lectures, seminars, and workshops. In addition to planing and designing community awareness programs and studies. 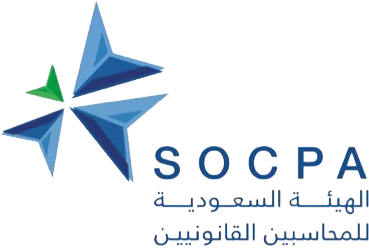 The Colleges and SOCPA cooperate in all areas relating to the development of accounting and auditing profession in the Kingdom and raising the knowledge, technical, and professional level. In addition to cooperating in research, writing, and translation. This cooperation extends to accounting for accredited continues professional education points of SOCPA member seeking to enroll in one of the Colleges’ programs, it also enables SOCPA fellowship exam applicants to complete it’s requirements through enrolling in related courses offered by the Colleges. SOCPA my also contribute to evaluating programs offered by the accounting department at the Colleges. Both institutions agreed on allowing their respective students the opportunity to gain a valuable international educational experience by completing part of their education at the other institution. They also agreed on frameworks for the exchange of faculty, research, and training. An agreement aims to take advantage of the expertise at KSU in terms of preparing academic programs, especially for graduate degrees. Additionally, having the opportunity to benefit from the scientific board in matters relating to peer-review system of research, publishing, and applications to award scientific promotions. It also opens the way for cooperation in the areas of research and teaching. Students at Arab East Colleges will have access to KSU's libraries and other sources.